Allowing another person to cut your facial hair, after weeks or even years of growing it out requires a special bond of trust, and some extremely effective communication skills. Whether you decide to go to the barber to prepare for a special event, like a wedding, or simply because your beard is getting too wild and out of hand, you will need to go in with a clear vision of exactly what you want to prevent any regrets. 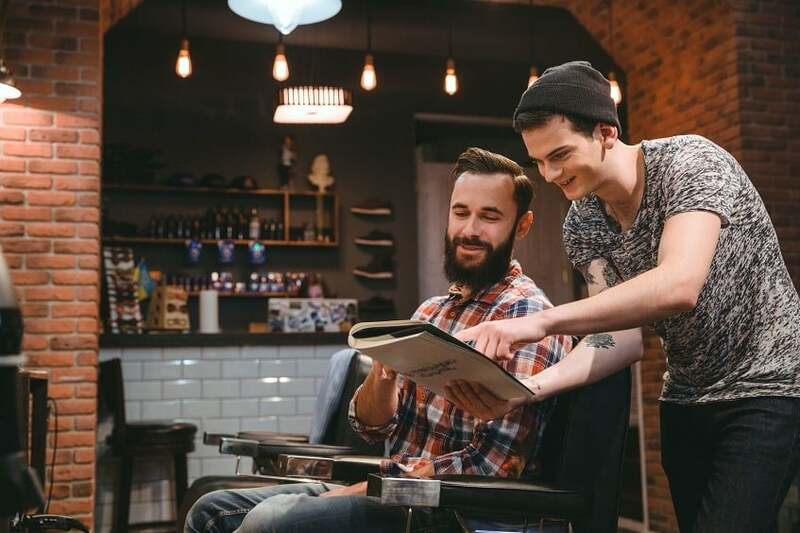 To help you ease your tension and go into your next barber appointment with confidence, we have created this guide to help you find the perfect barbershop, how to identify your desired style, and how to communicate your vision effectively. Finding a good beard barber that you can trust to carry out your desired look can sometimes feel impossible, but it is so worth it. Many people find their beard barber through personal recommendations. However, there are certain general tells as to whether a barber shop is worth checking out. For starters, you will want to go to a barber that has a lot of experience specifically cutting beards. This means finding a licensed master barber that offers a beard-cutting service on their menu. Many wrongfully assume that all barbers have a license, but this is not always the case, and even of those who are licensed, many only specialize in cutting the hair that is on your head. Next, you will have a better chance of receiving a pleasant experience if your barber shop has established a beardsman clientele. 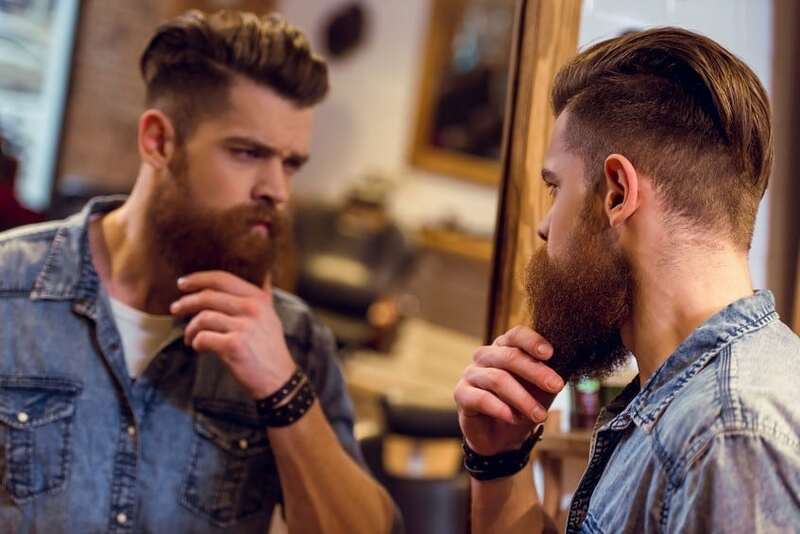 This clientele indicates that the barber shop has a positive reputation for their beard trimming and styling services, and it will also give you a chance to ask other beardsmen about their experiences with the barbers. Another thing to consider when searching for a barber is fair prices. Though pricing isn’t always the perfect tell of a shop’s quality, in general, you get what you paid for. Any barber shop offering suspiciously low prices may lack experience and qualifications in beard trims. In general, you should expect to pay between $15-$40 for a well-qualified beard barber, as they will need to spend a decent amount of time on your facial hair rather than rushing through the process. If your prospective barber shop is lacking many of these credentials… you may be better off taking your beard and running. However, once you find a good barber you should never let them go, as they are often hard to come by. As mentioned previously, it is essential that when you go to the barber, you have a clear vision of your desired style. 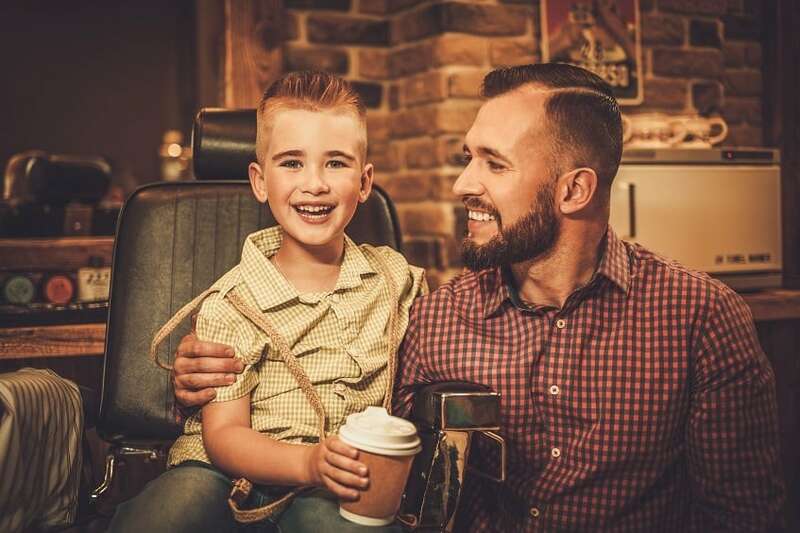 Leaving your look up to the barber can result in a disastrous experience that you will likely regret, but you can prevent this by simply doing a little bit of research before your appointment. To start, you will want to determine the length and fullness of your ideal beard, and whether you also want a mustache and sideburns. The best part about beards is that you get to decide whether you want it to be the centerpiece of your look or a finishing accent that brings it all together. In addition to knowing the length of facial hair that you are comfortable with, you will also want to think about what style you are going for, whether you want a dapper hipster beard, a grizzly lumberjack beard, a red-carpet clean look, a modern goatee, some short minimalistic stubble, or another unique style. At Beardoholic, we offer plenty of information on beard styling and care, so that you can get inspired with your favorite look and know how to maintain it. If you love having a full beard, check out our article on the 24 Best Long Beard Styles. If you can find a picture of exactly the beard style that you are going for, this will make it much easier for your barber to understand exactly what you want and produce stellar work. When it comes to visiting the barber, communication really is key, and there are a few extremely important things to keep in mind when talking to the person who has the fate of your beard in their hands. For starters, if you do not want to cut the length of your beard make sure you ask for a “shape up” rather than a trim. This language is important so that your barber doesn’t immediately start chopping off your beautiful locks. You will also want to explain to them exactly what parts of your beard you wish to trim, if any, and emphasize what parts are not to be touched. For example, you will want to explicitly specify if you would like the sides of your beard to be tapered or not, if you want a nape or not, whether you want sideburns, and exactly what type of texture you are going for with your facial hair. The more detailed you are when communicating, the better. You need to specify exactly how much you want to cut off the end of your beard, rather than using vague terms like “a little trim” which are subjective and could be misinterpreted. 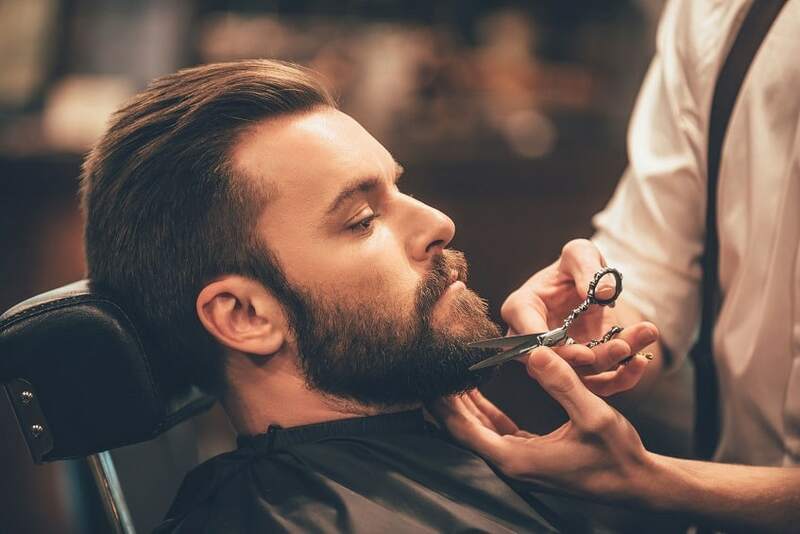 If you are worried about the barber cutting your beard too short, you could ask them to start off a few millimeters longer and work their way shorter. We hope these tips will help you have an epic barber experience. And if you find a good barber, make sure you don’t let them go, and tip them well for helping you look awesome! Photos from: Gstockstudio © 123RF.com, NejroN © 123RF.com, Dean Drobot © 123RF.com and Georgerudy © 123RF.com. Thanks, great information. I have been jumping from barber to barber because even if I bring pictures, the barbers ends up doing what they want – it makes me angry and I never go back. My next step is creating a grid. Your article will help. Thanks. I like the tip that you gave to figure out which haircut you want before you go to see a barber. My wife wants me to get a haircut, and I want to make sure that I get a haircut that I will like. I will be sure to choose my desired haircut before I decide to go to the barber, so I can be confident that I have chosen one that will match what I want.